Former Egyptian president could face the death penalty if found guilty of charges. Deposed Egyptian President Mohammed Morsi will face trial over an alleged "terrorist plot", in which prosecutors say his former administration conspired with Hamas and Hezbollah to restore Muslim Brotherhood rule to Egypt. The charges against Morsi and 35 other Islamist co-defendants include passing state secrets to a foreign country, sponsoring terrorism, and carrying out military training and other acts that undermined Egypt's stability and independence. Specifically, Morsi and a number of other senior Egyptian Muslim Brotherhood leaders stand accused of revealing state secrets to Iran's powerful Revolutionary Guards, and forging an alliance with Hamas and Hezbollah - both of whom are close to Iran - to provide military training for Muslim Brotherhood supporters, who would launch attacks against Egypt's interim government upon their return to the country. 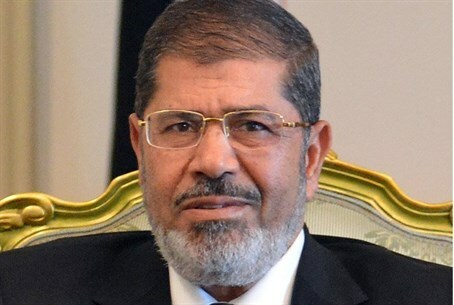 Egyptian prosecutors allege that Morsi's Brotherhood was directly involved in the wave of attacks by Islamist terrorist groups - primarily in the restive Sinai region - which followed his ouster by the military back in July. Muslim extremists had already taken advantage of the power vacuum following the overthrow of Morsi's successor Hosni Mubarak in 2011 to launch attacks against government and military positions, as well as local Christians. But following Morsi's own removal from power the attacks spiked dramatically, prompting the largest Egyptian military operation in the Sinai Desert since the 1973 Yom Kippur War - an operation that is still ongoing. Prosecutors say the campaign of violence was not simply opportunism by jihadist factions independent of the Muslim Brotherhood, but a coordinated campaign by the Brotherhood and its allies to "bring back the deposed president and to bring Egypt back into the Muslim Brotherhood's grip," branding it "the biggest case of conspiracy in the history of Egypt". The former Egyptian president has already gone on trial for "incitement" connected to the bloody clashes between his supporters and rival demonstrators outside Cairo's presidential palace one year ago, and faces further charges of fraud over his economic policy during his short-lived rule.